I am excited I have the opportunity to review Icaughtsanta.com. This is one of the cutest ways to prove that Santa Clause came to your house!! 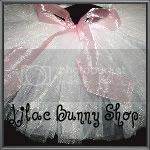 They also do other characters such as the Easter Bunny, the Tooth Fairy, and Cupid. This is the perfect picture to show your kids on Christmas morning! What great proof of Santa Clause and less than $10! They have 20 different poses so Santa can be by the chimney, by the tree, filling stockings, and even sitting on the couch! Here is a picture of Santa by my tree! Now for the best part!! You have the opportunity to be the hero Christmas Morning! Icaughtsanta.com is giving me 5 codes to giveaway to my readers! This giveaway will end Tuesday December 21 at Midnight (CST). 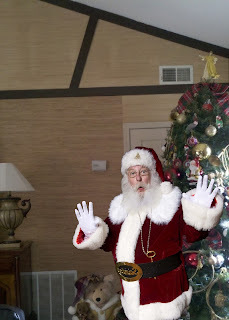 Visit Icaughtsanta.com and look through all 20 Santa Poses. Come back and leave a comment telling me your favorite. I like pose #13 where Santa is looking through his bag! Wonder what my kids would say to having proof of the big guy? Thank you for the giveaway! I like pose #6 how cute! I like the first pose, the one where he is shocked that you caught him.